digitally printed polytwill that stretches tight with the unique FabX grip and clip system. 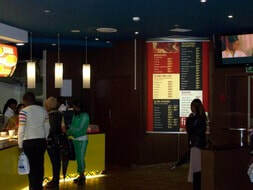 Various lighting options are also available. All is delivered in heavy duty denier 600 nylon bags with and without wheels for safe and easy transportation. 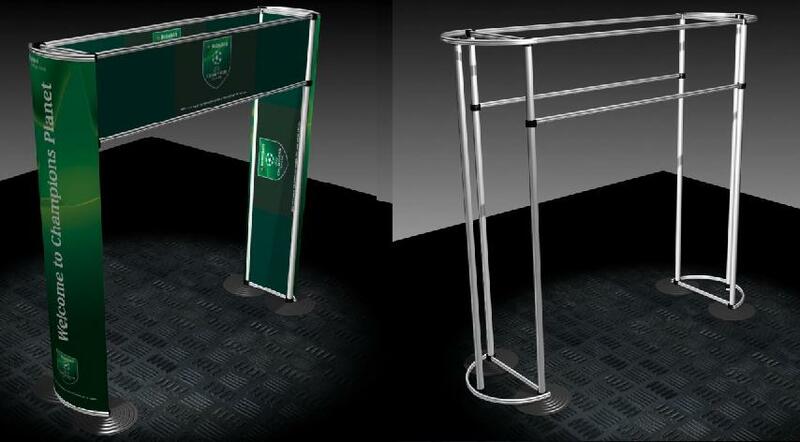 The FabX System is a patented South African invention consisting of aluminium poles and cross-pieces, metal feet and nylon grips that are assembled together creating expo or promo platforms for branding and decoration purposes. The walls are made of digitally printed polytwill fabric that is lightweight, washable and reusable. Click on the picture on the right for a more detailed illustration. 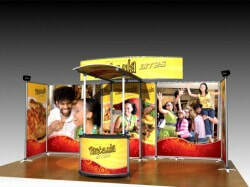 Click here to see out our range of pop-up walls. 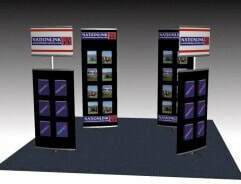 The "speakers' podium" provides unlimited, lightweight portability and an excellent branding platform. 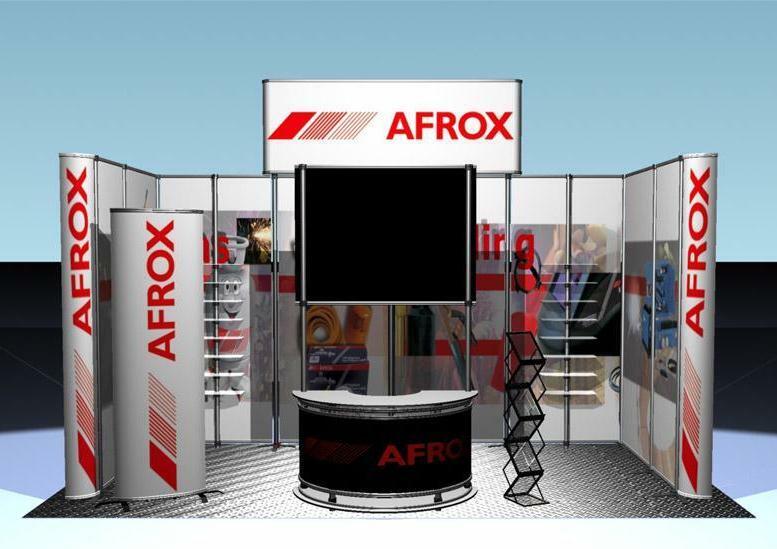 In this instance, 3 FabX billboards and a desk and canopy structure were brought together to create a magnificent exhibition platform. 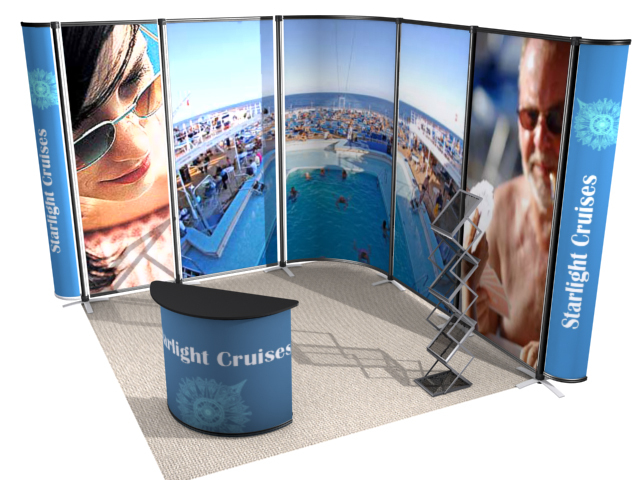 The client has since used it in several "mini expos", merely requiring to re-printed the walls to suit the new campaign. 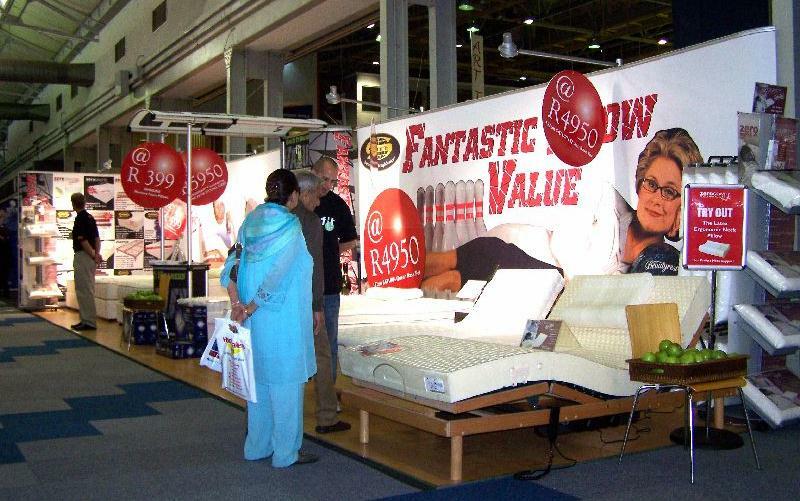 The same structure (above) has been used many times as a pop-up shop in shopping centers around Durban and Johannesburg. 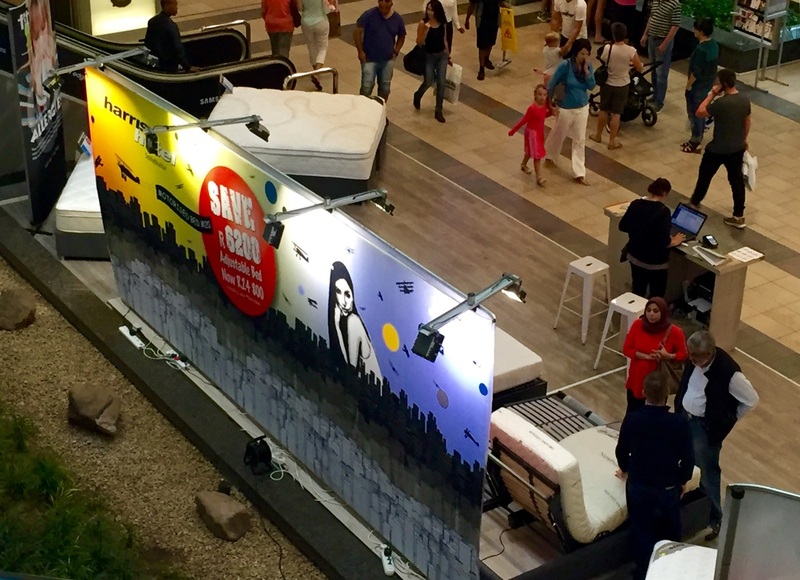 Pop-up stores only serve the customer for a limited time giving them an air of exclusivity which is why they can easily rival an entire months business in a permanent high street outlet. 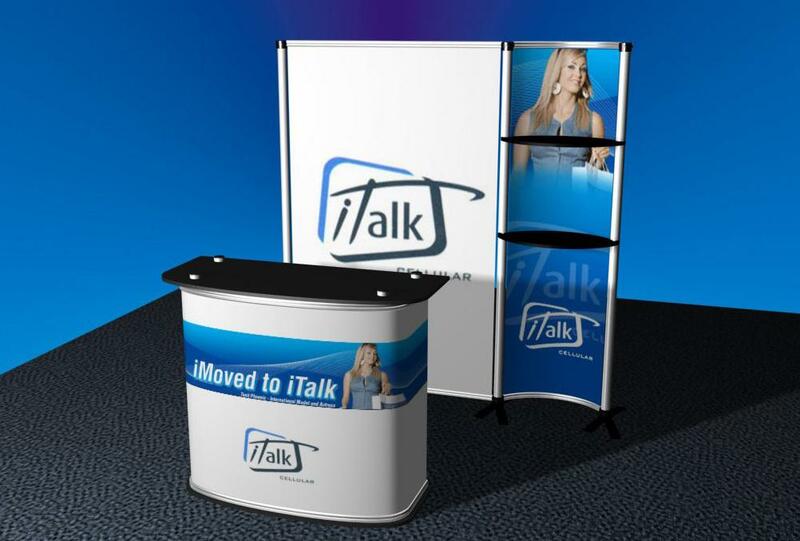 This 800(l)x500(w)mm, 860(h)mm "instant desk" is perfect for in-store promotions and provides a classy promo platform. Also available curved with custom coloured top. 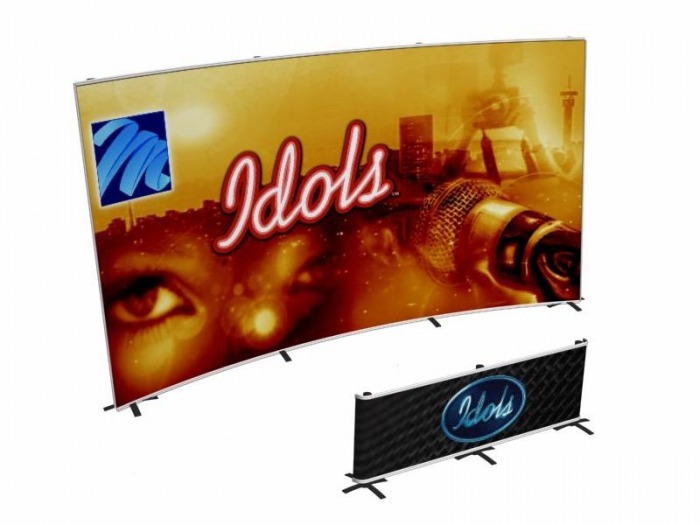 A 3m or 6m wall with a desk or podium in front makes a professional impression and allows you to brand the space and area you're working in. 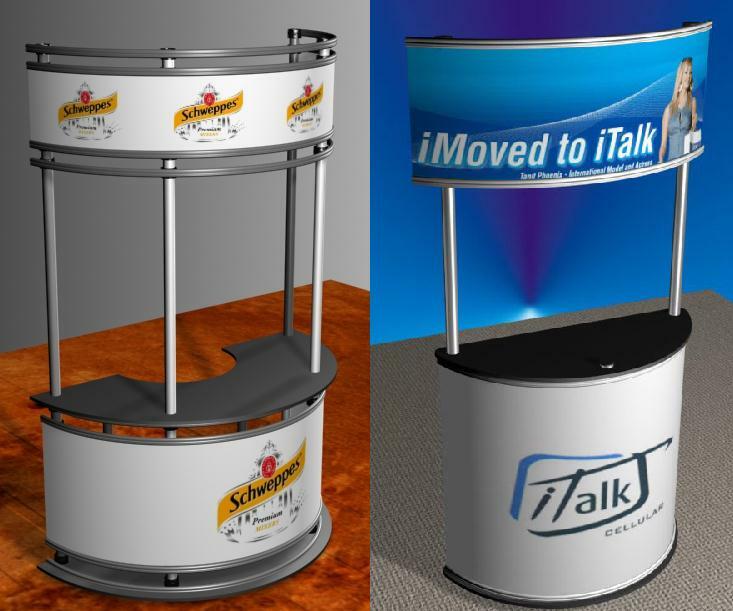 The "light tower" is a classic example of how the Fab-X system can be used to provide classy, unique promo platforms. These Stiletto Poster Frames can also be back-lit internally. 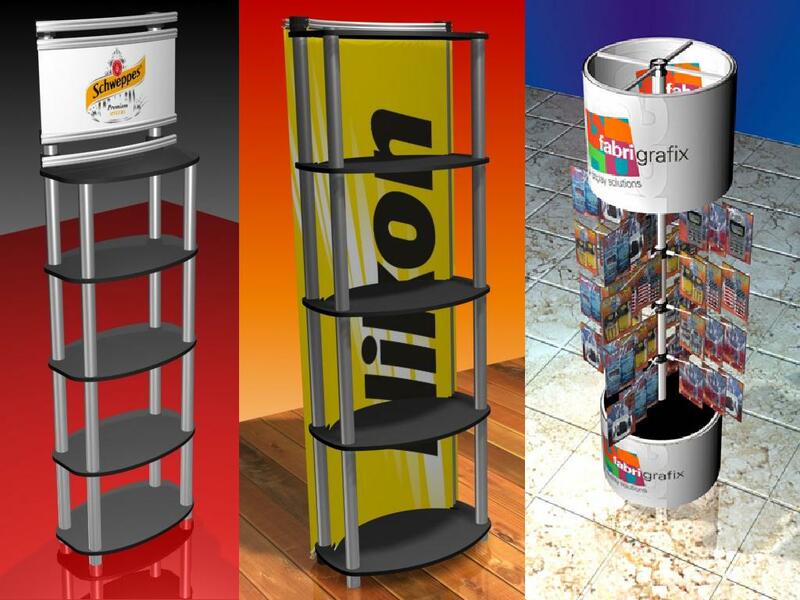 In addition to creating a space where consumers can interact with the product, this stand uses colour and images that communicate their values and ethos to the consumer. 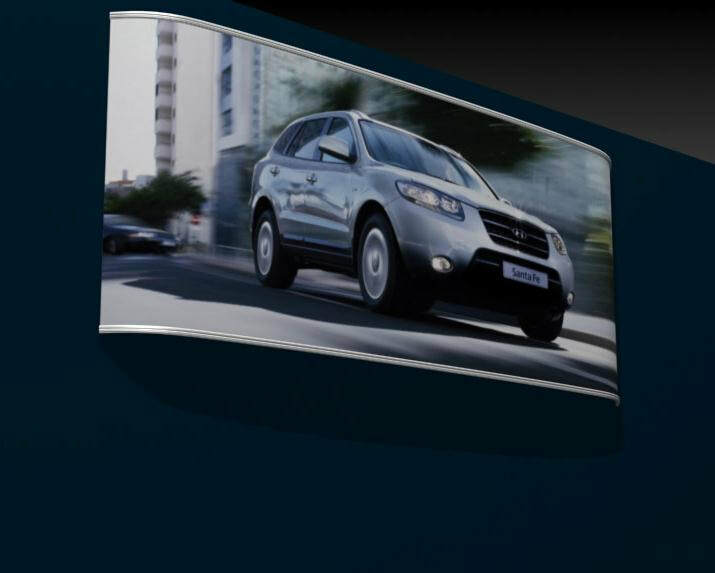 All the bells and whistles, complete with projector and LCD screen. Fine Art, Graphic Art, Technical Drawing, Office Supplies, Screen printing, Packaging Ideas, Printing Services, Promotion Systems, Gift Vouchers, How to find us.